As followers of my work will know, one of my design signatures is the use of stars. 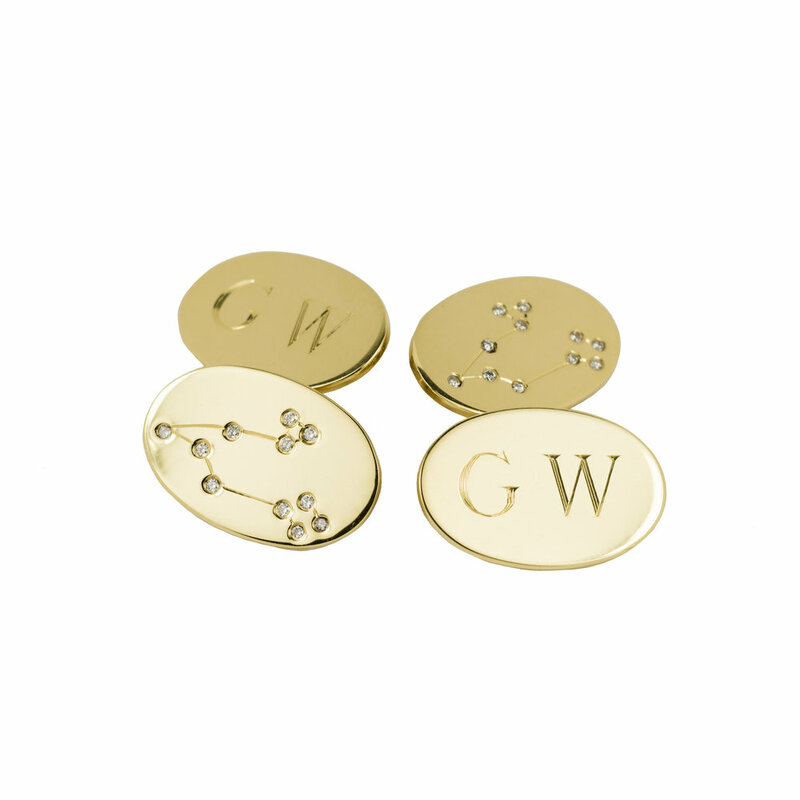 I applied this feature to a pair of bespoke 18 carat gold cufflinks- which where engraved with the recipient’s initials and his zodiac constellation sign set in brilliant cut diamonds. Bespoke cufflinks in 18 carat gold set with the recipient’s zodiac constellation in diamonds.